Egypt announces it won't reopen Rafah border crossing following ISIS attack in northern Sinai. 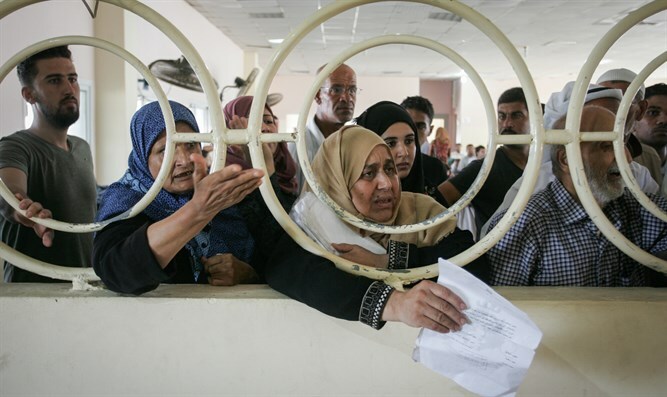 Egypt announced on Sunday evening that it would not be reopening the Rafah border crossing with Gaza as it planned, following an Islamic State (ISIS) attack in northern Sinai which claimed the lives of six Egyptian soldiers. The crossing was supposed to be reopened between Monday and Thursday following the Hamas-Fatah reconciliation deal which was reached last week. The Egyptian military said earlier on Sunday that in addition to the soldiers, at least 24 jihadist were killed in attacks on military outposts in North Sinai. The statement, which was quoted by Reuters, did not give details, but security and medical sources said about 20 members of the security forces had also been injured when more than 100 jihadists repeatedly attacked security outposts south of the border town of Sheikh Zuweid. The attackers used car bombs and rocket propelled grenades (RPG), the sources said. They also clashed with the security forces using light weapons, they added. Egyptian forces have been battling a growing insurgency in the northern Sinai for years. Most of the attacks in the region have been claimed by the Sinai Province, ISIS’ Egypt affiliate which pledged allegiance to the jihadists in 2014. On Friday, ISIS claimed an attack on security forces in the peninsula that killed at least six soldiers. Last month, ISIS killed 18 people in an attack on a security convoy in Egypt's North Sinai. In addition to keeping the crossing closed, Egypt has shut down the smuggling tunnels between Gaza and the Sinai Peninsula, which terrorists use to smuggle weapons, and has also built a buffer zone along the border, expelling large numbers of people from their homes for that purpose.